Celebrate the end of a long term of chairperson or president with this Gold Gavel Award Plaque! This 9x12 plaque is crafted from American walnut wood. 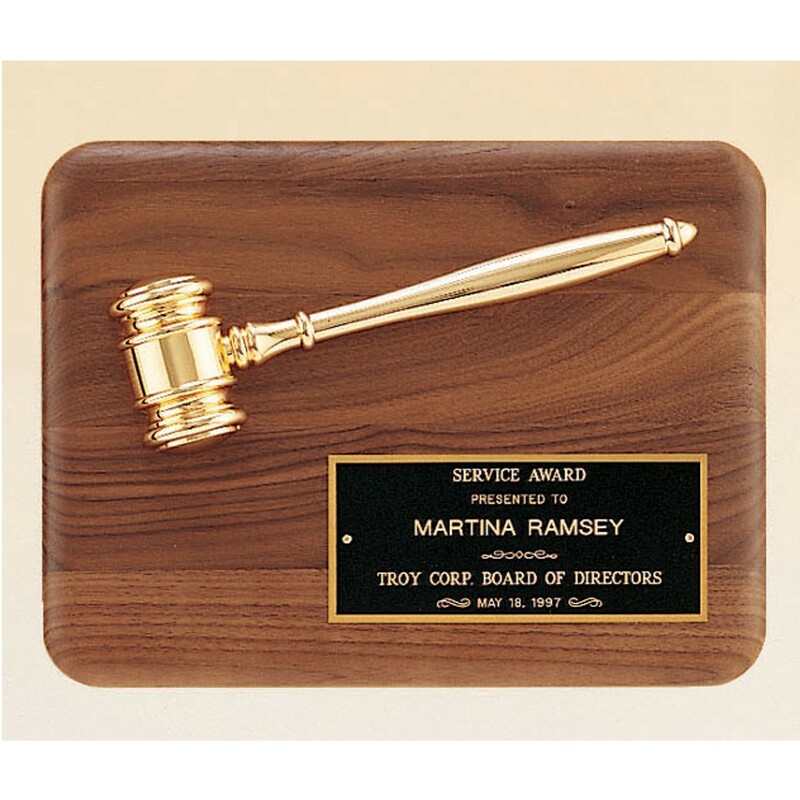 A brass gavel with gold-tone coloring is mounted on the plaque above a black brass plate designed to hold your 6 lines on engraving. Award this honorable plaque to a deserving individual!